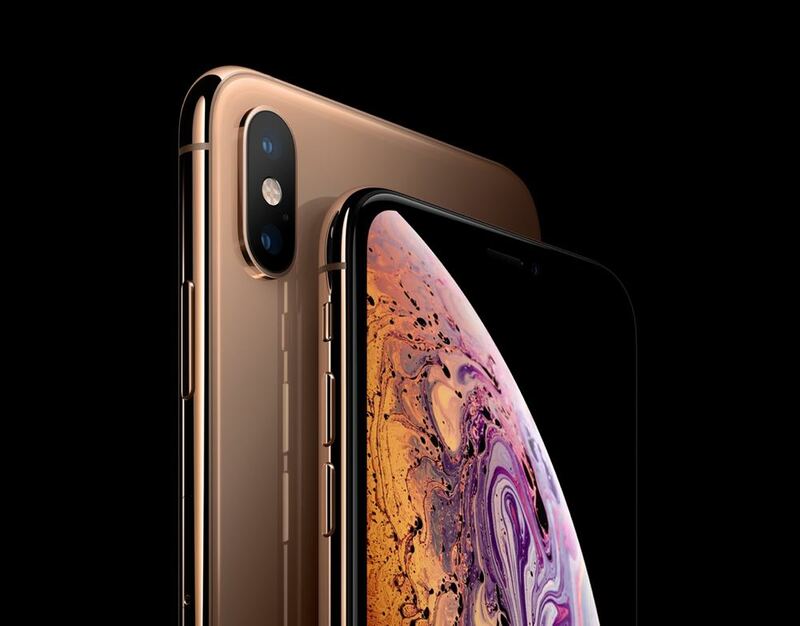 The iPhone Xs has a first-class design, provides a first-class performance with a first-class set of features that results in a first-class experience no other smartphone can match. 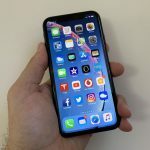 Apple’s new iPhone Xs and iPhone Xs Max have taken a significant leap forward in terms of features, speed, quality and performance to deliver one of the most satisfying smartphone experiences you can find. While the design has mostly remained the same, the improvement is still quite obvious. 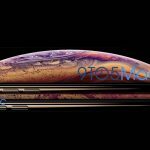 And the introduction of an even larger version with the 6.5-inch iPhone Xs Max, Apple’s biggest ever iPhone, has taken the device to the next level. 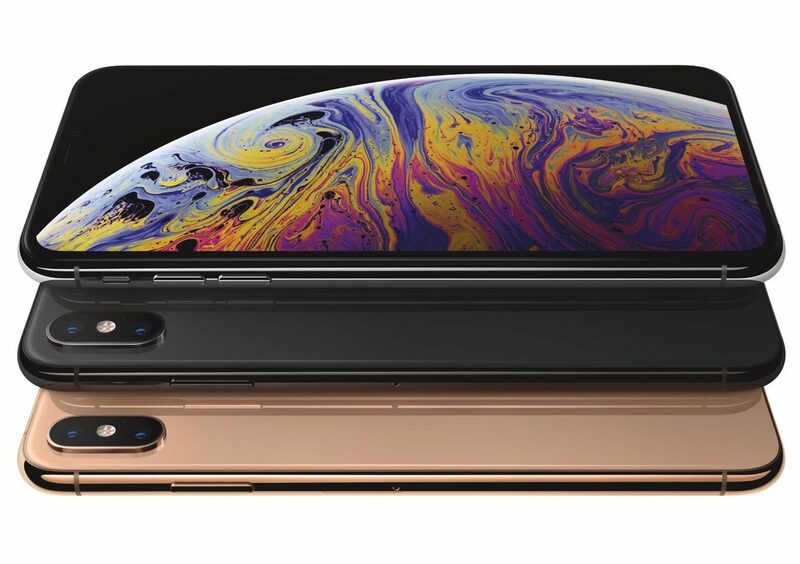 We’ve always been fans of larger phones so we see the introduction of the iPhone Xs Max as a winning move. 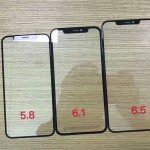 But this time out, Apple hasn’t differentiated between the 5.8 inch iPhone Xs and the 6.5-inch iPhone Xs Max. In the past, the Plus versions of the iPhone had better cameras and better screen quality. 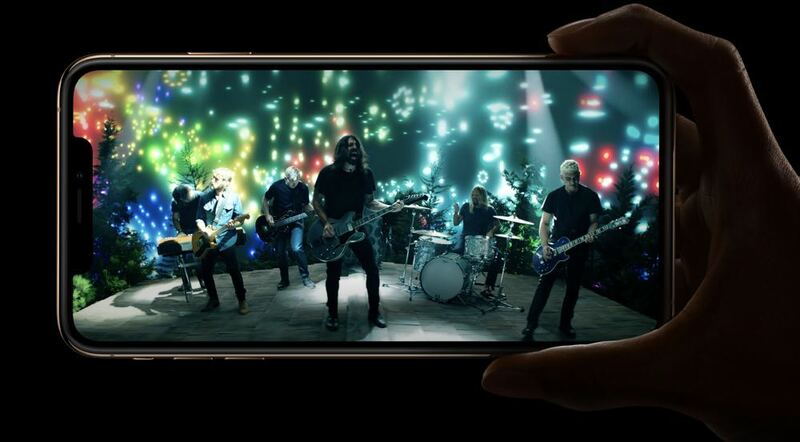 But now with the iPhone Xs, apart from the difference in screen size, the two new devices are the same quality with identical features, identical cameras and are powered by the same impressive A12 chip. So the only choice a customer needs to make this how big they want the screen. 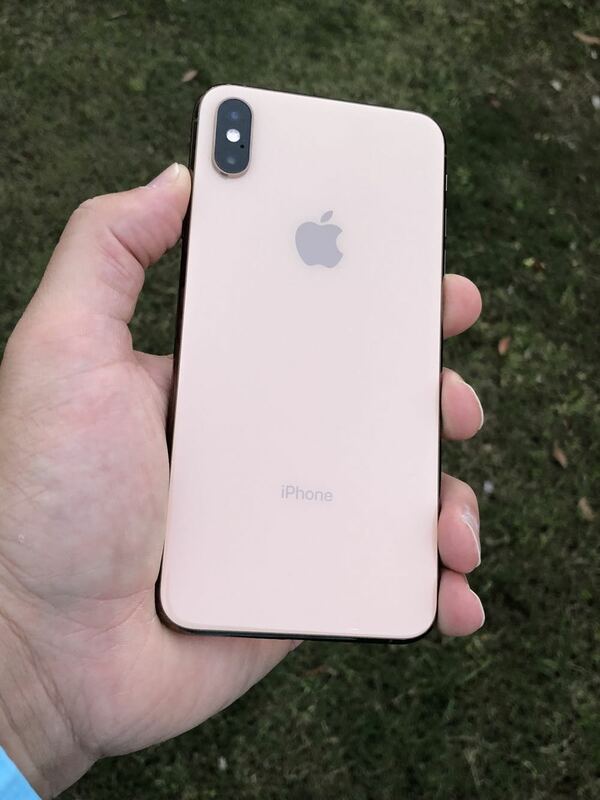 The 5.8-inch iPhone Xs is the same size as last year’s breakthrough iPhone X which is a comfortable size and easy to manage with one hand. 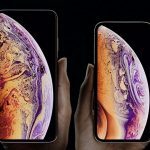 The larger iPhone Xs Max, with its gorgeous 6.5 inch Super Retina display, is more a two-handed proposition but it does have accessibility features like Reachability to make it easy to reach every corner of the screen and keyboard functionality to still be able to type with one hand. There are some subtle differences in the design between the iPhone Xs and last year’s iPhone X. 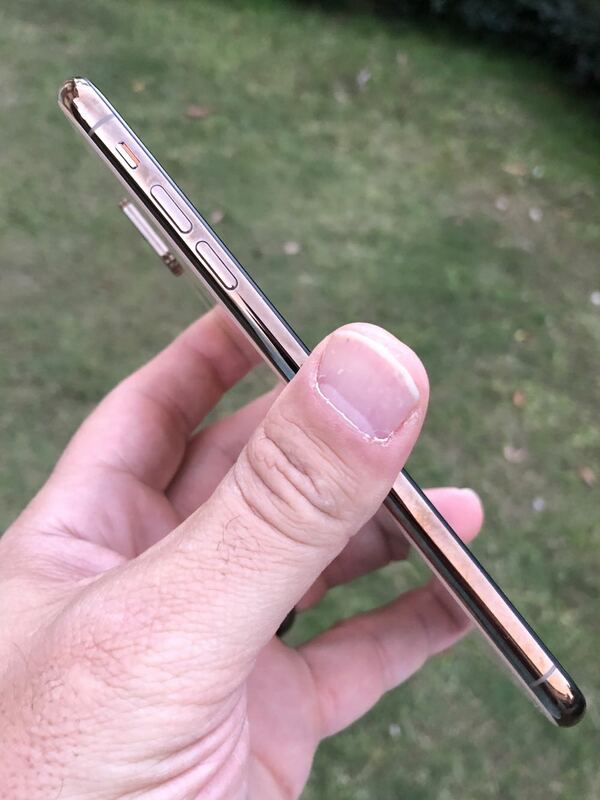 These include two more antenna strips along the surgical grade steel band around the edges of the phone. This year there is a stunning new gold colour that is both subtle and classy. 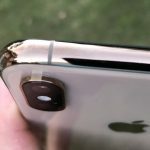 This steel band is sandwiched between what Apple is calling the most durable glass ever used not only in an iPhone but in any smartphone, which makes it slightly more rugged and scratch resistant. The iPhone Xs has a slightly better water and dust resistance rating of IP68 (the iPhone X was IP67) and can go up to 2 m underwater for 30 minutes. 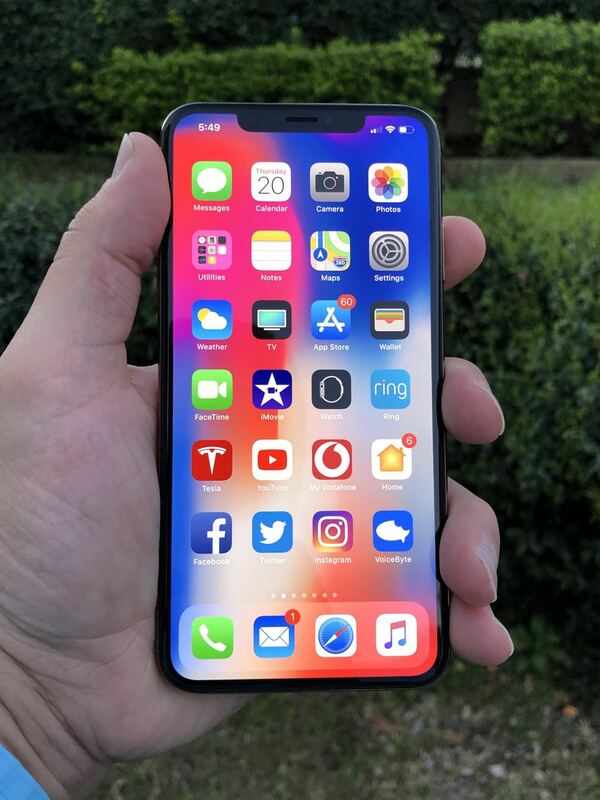 Apple’s Retina displays always looked impressive but the Super Retina OLED display takes that even further with improved clarity, brightness and colour quality. The black levels have also been significantly upgraded. 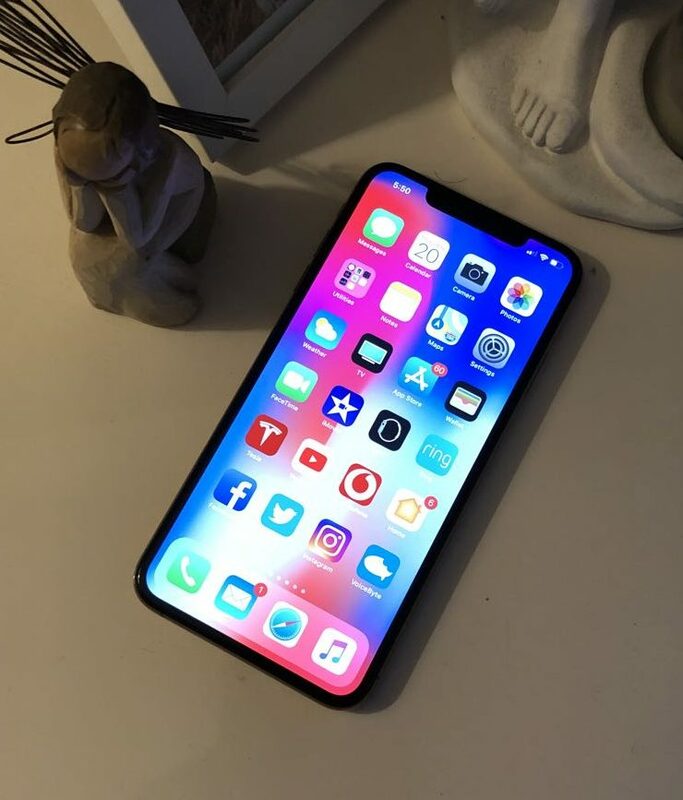 So much so, the black areas in the wallpaper made it hard to see where the screen ended and the notch began. The huge expanse of screen is also a great place to watch video content including movies and TV shows in Dolby Vision and HDR10. 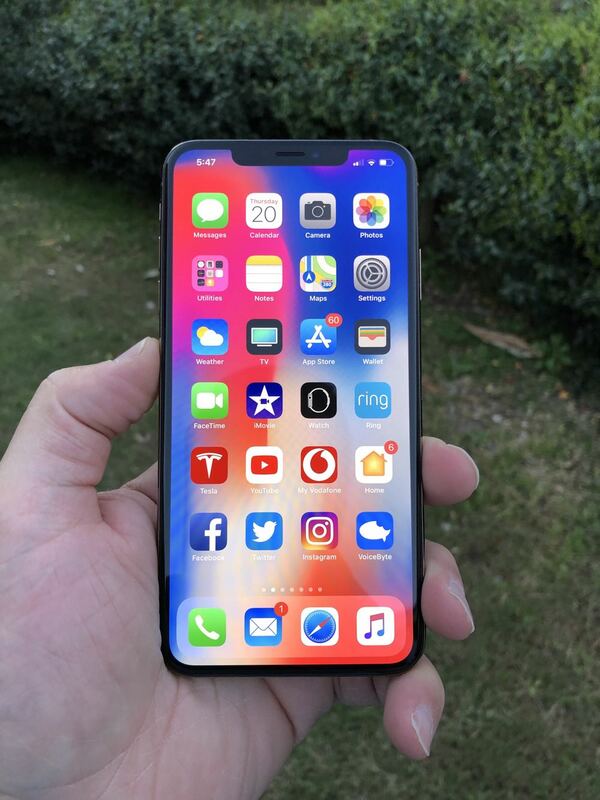 The larger iPhone Xs Max screen fits in more content – half an extra tweet and an added email or two but not much difference on Facebook and Instagram – they are just bigger. Some apps still need updating to scale properly on the larger 6.5-inch display but that’s just a matter of time. The star of the show is actually under the hood – the A12 which does all the heavy lifting to enable the improvements with the camera, the graphics performance, the gaming experience, augmented reality apps, memojis and just the sheer speed of the device. And the fact it works faster and better and uses less power is also impressive. The Neural Engine on board the A12 is leaps ahead with the new eight core design able to complete 5 trillion operations per second compared with 600 billion on the A11. Everything is faster and smoother. If you’re coming from an older iPhone you will definitely notice the difference. The other star of the show is the remarkable dual camera system which has the same 12-megapixel resolution as the iPhone X but with an improved camera sensor with deeper and larger pixels to capture incredible colour accuracy and better lowlight images. Another massive difference is the addition of Smart HDR which brings out parts of your photos that you didn’t realise were there. 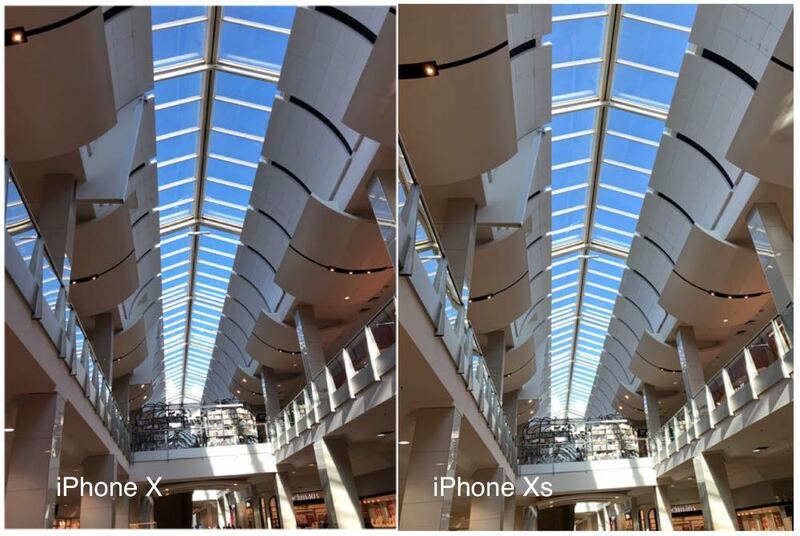 The same photo taken with the iPhone X on the iPhone Xs showed some real differences with added detail and texture on the Xs pictures where the X image was either washed out or too dark. 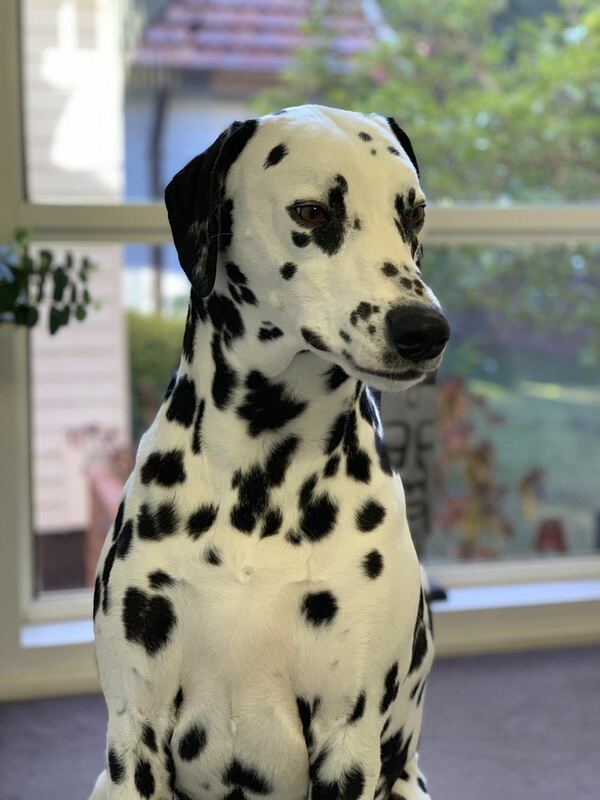 Portrait mode is also stunning and this time out users can control the background blur even after they’ve taken the image. 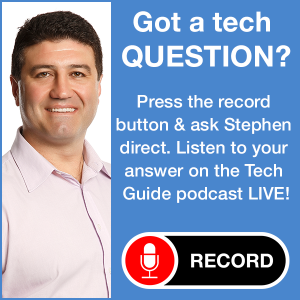 And if you’re shooting video, the four built-in microphones allow you to record stereo sound so you can really hear the left and right separation when playing back what you’ve captured. 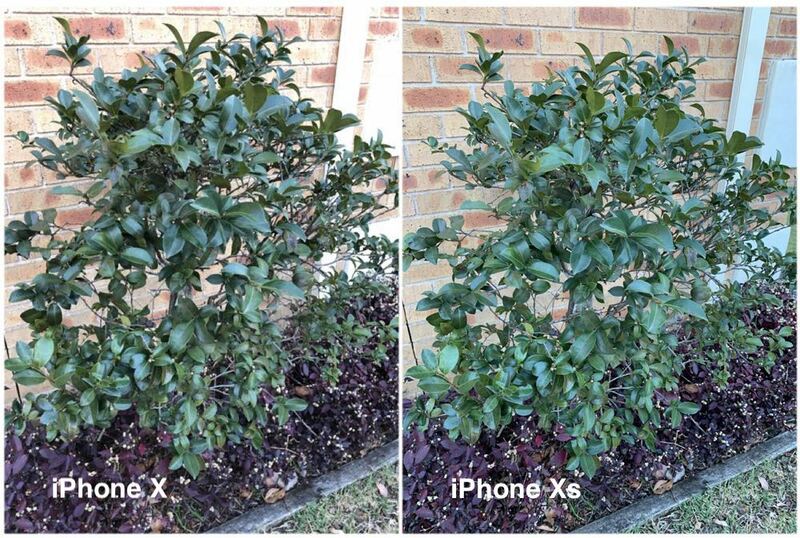 The improvement in camera quality over last year’s iPhone X is the real attention grabber here. 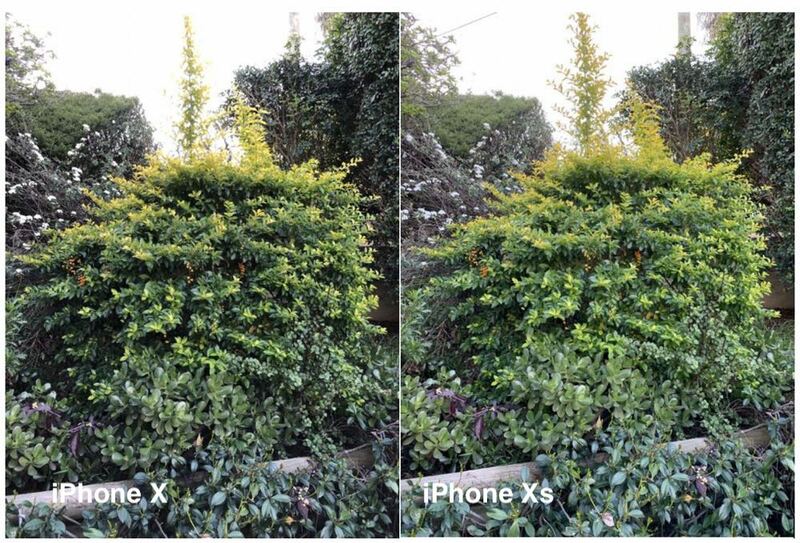 The incredible pictures the iPhone Xs can capture will make users look like experienced photographers. On the audio side, the iPhone Xs really delivers. Just playing music you can really hear the quality from the speakers at the top and on the bottom edge of the device. It was loud enough for us to enjoy on its own instead of having to connect a Bluetooth speaker. Watching movies you could also hear the difference in quality and you’d really hear that left and right stereo separation which really added to the quality of the experience. There is no home button to be seen and therefore no need to register a fingerprint. Once again, it’s your face that unlocks the device. And thanks to the faster processor, this happens even faster. 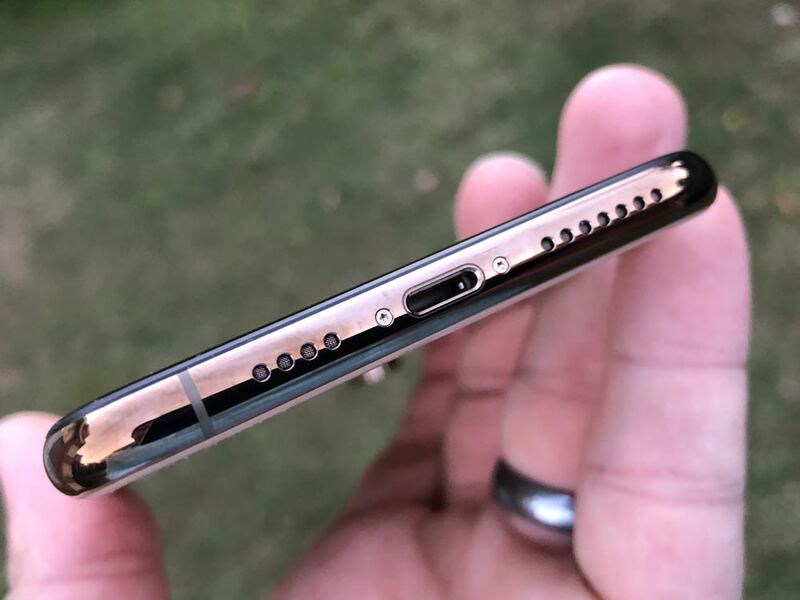 Face ID takes advantage of the TrueDepth camera inside the notch on the display and provides even sturdier security than you would get from a fingerprint. Face ID also works within apps to identify who you are without having to type in account names and passwords. For the first time the iPhone has Dual SIM capability – one regular nano SIM and another eSIM which is integrated into the device. The concept of dual SIM is nothing new in Australia and already a common feature on many Android smartphones. 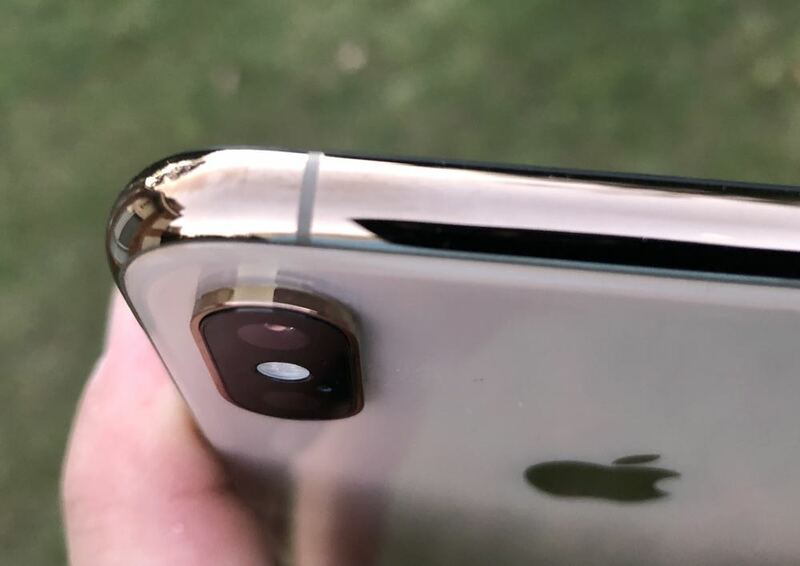 The dual SIM feature on the iPhone Xs won’t work for Australian customers at launch but is likely to be offered by telcos later in 2018 or early 2019. There is a definite improvement in battery performance thanks to the efficiency of the A12 chip. The iPhone Xs will easily run for the entire day and well into the next morning before it needs recharging. And the good news is the device can handle even faster wireless charging. The new iPhone Xs and iPhone Xs Max come preloaded with Apple’s latest iOS 12 software. Apart from the performance improvements, iOS 12 includes a number of new features including Screen Time, grouped notifications and effects in the Messages camera. The iPhone Xs is not cheap so anyone who’s got their eye on getting their hands on one will probably buy it on a plan. But for the money, you are getting a top shelf device with a great camera, an amazing screen and tremendous performance in a device that will be by your side nearly every second of every day. Being an “s” upgrade, we have to be happy with the same design as last year but there is still no mistaking the incredible build quality and Apple’s amazing attention to detail. One thing that’s missing in the box is the Lightning to 3.5mm audio adapter. So unless you have a pair of wireless earphones or headphones or Lightning earphones you’ll have to spring for the adapter at additional cost. If you currently own an iPhone X, there will be no real urgency to upgrade. While there are plenty of improvements, the iPhone X is still a pretty good phone that’s less than a year old. For those customers who are coming off two-year contracts which began when the iPhone 7 was released will embrace the iPhone Xs with open arms. They will really see an incredible difference. 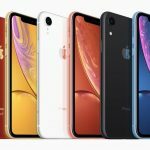 But it’s a possibility they may wait for the more affordable iPhone Xr which will be released in late October.